We would like to inform you that we have received almost dozen of mails yesterday late evening between 7.29 PM - 11.59 PM regarding the inconvenience / issues faced by our members while subscribing to our services online. There was a technical glitch at 7.29 pm yesterday due to which our members were not able to subscribe to our services online under Holi Dhamaka Offer 2016. 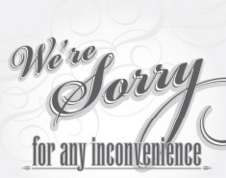 We sincerely regret for the inconvenience caused yesterday night during our offer period. Issue is sorted out now! Just to update you, after closure of offer at 11.59 pm yesterday, we removed the offer page and applicable discounts from our website www.saralgyan.in with support of technical team. However, considering technical glitch faced by our members late evening yesterday and to pass on the maximum benefits, we have decided to extend our offer by 24 hours. Yes, Holi Dhamaka Offer 2016 is extended by 24 hours and now is live till 1st April 2016. We have once again enabled the applicable discounts to our various services at 11.00 AM today, hence Holi Dhamaka Offer is live till 11.59 PM today. So in case if you missed the offer or faced the same technical issue, you can subscribe now. We are thankful to our members who have opted our services and shown utmost trust and faith on us, we will continue to put best of our efforts to build a mutually rewarding and long term relationship by identifying best investment opportunities from small and mid cap segment. Activation of subscription will be done today for members who have subscribed to our services yesterday and day after. We thank you for your patience. In an attempt to ensure that we pass on the maximum benefits to our readers, we started celebrating this festive season with Holi Dhamaka Offer 2016 by offering maximum discounts and freebies on our subscription services. You can enjoy great savings and valuable freebies by grabbing the best deal. 5. Saral Gyan eBook - "How to Grow your Savings?" worth Rs. 599 for Free. Below table indicates subscription services and discounted prices valid till today, 1st Apr'16. Hidden Gems (Unexplored Multibagger Small Cap Stocks) continue to shine giving as on date average returns of whopping 199.2% to our Hidden Gems subscribers compared to 27.9% average returns of small cap index during last 5 years. Offer extended by 24 hours and will disappear at 11.59 PM today, 1st April 2016. Note: Subscription cycle for all new subscribers joining on or before 1st April 2016 will be Mar 2016 - Feb 2017. Our existing members can also renew their subscription during ongoing offer, subscription period will be extended by 12 months in case of renewal.